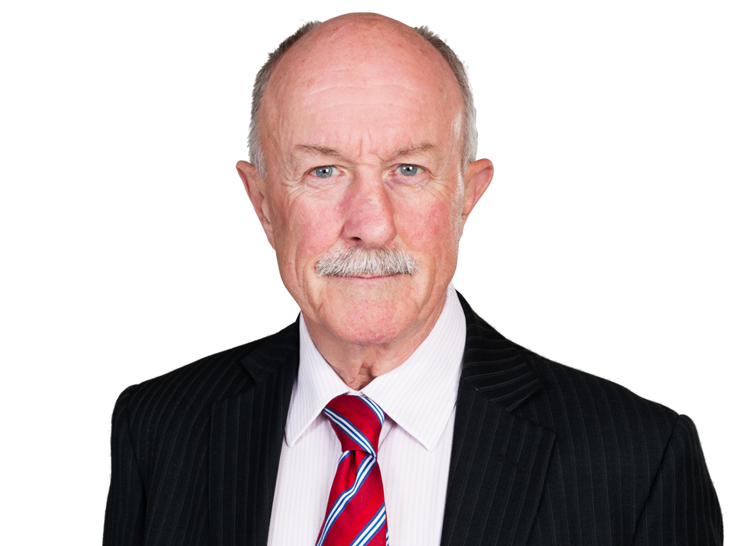 Alastair Sutton has been immersed in European Union Law for nearly 40 years, as an EU official and as a practitioner. His practice is primarily advisory and covers a broad spectrum of EU law issues, in particular the internal and external law of the Single Market. Alastair Sutton was the legal advisor to the Commission Vice President responsible for the launch of the Single Market project between 1985 and 1990 and his legal practice over the last 20 years has reflected this experience. Alastair Sutton advises both private entities and State entities (including those outside the EU) on a wide range of EU law areas including EU constitutional law, the internal and external law of the Single Market (especially financial and related services), business taxation, competition, state aids, external relations, energy, environmental protection and international economic law. He has experience in appearing before the European Courts and also assisting in domestic litigation. on behalf of the Applicant in Forum 187 v Commission (2008 - 2010) (fiscal state aids). on behalf of the Applicants in the Scottish Salmon Growers Association v. EFTA Surveillance Authority (state aids) (1996). on behalf of the Applicants in Geiden, QUAFF and Hamilton v. MAFF (action to secure abolition of UK animal quarantine rules) (1999). representing IKEA in a customs classification matter to the Commission de Conciliation et d'Expertise Douanière (Ikea Distribution France v. French Republic) (2000). representing the Turkish Government in a dispute under GATT Article XXIV on the automatic extension of EU textiles agreements to new Member States. International trade law, especially WTO accession procedures. Mr. Sutton has devoted more than 40 years to the study and practice of European law. Following education at Fairfield Grammar School in Bristol and the Universities of Aberdeen and London, he taught public law (including European law) at University College London from 1967-73. He was called to the English Bar (Middle Temple) in 1972. In July 1973, Mr. Sutton became an official of the European Commission. For 6 years he was a negotiator in the external affairs department of the Commission, working on multilateral and bilateral agreements on trade in textiles in the GATT (later the WTO) and the EU’s trading partners in Asia, Latin America and Eastern Europe. He was also a member of the EU’s team for the Tokyo Round of international trade negotiations, covering areas such as anti-dumping, subsidies and countervail duties and safeguards. From 1979-84, Mr. Sutton was a diplomat in the European Commission’s Delegation in Tokyo. This provided an opportunity to see the European Community (as it then was) from a Japanese perspective, at a time when European integration was hampered by economic recessions and protectionism and when Japan was seen by many as leading economy in the world. Returning to Europe at the end of 1984, Mr. Sutton became the legal and external affairs advisor in the Cabinet of Lord Cockfield, Vice President of the European Commission under President Jacques Delors. The four years from 1985 till 1989 (and the 10 years of the Delors Presidency) are seen by many as the “golden period” of European integration, with the creation of a genuine Single Market without internal frontiers and the legal and institutional framework for economic and monetary union. Mr. Sutton’s main tasks at this time were the enforcement of EU law against Member States and relations with the third countries affected by the establishment of the EU’s Single Market. In 1989 Mr. Sutton was made Head of Division of Insurance, under Commissioner Sir Leon Brittan. Against the background of the legal impact made by the Single Market on governments and enterprises, both inside and outside the EU, in 1989 Mr. Sutton took personal leave from the Commission to practise European law in Brussels.. Initially, he established – with Ian Forrester and Chris Norall - the specialist EU law firm of Forrester, Norall and Sutton. Subsequently, following the merger of Forrester, Norall and Sutton with White and Case, he became a partner in this New York - based global law firm. His practice concentrated on the expanding Single Market legislation, including its impact on third countries. His practice also covered competition and state aids law, as well as the law of international trade. Since 1999, Mr. Sutton’s practice has concentrated increasingly on financial services and taxation, as well as the practical enforcement and external impact of the EU’s Single Market legislation. He also continues to work on WTO law, as well as on trade and customs issues in institutions such as the World Customs Organisation (WCO) and the World Health Organisation (WHO). Measures to address international economic crime (e.g. fraud, illicit trade, fiscal evasion, counterfeit etc.) have recently become an important part of his practice, in particular in the tax and customs fields. In addition to major multinational corporations from the United States and Japan, Mr. Sutton advised a number of large and small governments, including - for nearly 20 years until his retirement from White and Case in 2010 – the UK Crown Dependencies of Jersey, Guernsey and the Isle of Man, as well as the Ministry of Finance of the Government of Bermuda. Mr. Sutton has managed complaints before the European Commission on alleged breaches of EU law, conducted litigation in the European Courts in Luxembourg, as well as participating in cases involving European law in the English courts. Since July 2010, Mr. Sutton has practised European law independently as an English barrister based in Brussels and London, as a member of Brick Court Chambers. In 2011, Mr. Sutton was appointed by the European Commission as a senior expert on regional integration and internal market affairs, with special responsibilities for relations between the EU and the African Union. A key feature of this work is to provide advice on the regulation of market integration (and the different means of enforcing this regulation) in order to promote confidence and economic growth. In this capacity Mr. Sutton has visited Addis Ababa (Headquarters of the African Union), Dakar (for UEMOA and ECOWAS), Lesotho (for SACU) and Lusaka (for COMESA and the EAC) to give seminars for African officials on the legal and practical aspects of market integration. He is also advising the COMESA Court of Justice on various aspects of law and procedure for courts involved in the process of regional economic integration. Against the background of the global economic crisis, Mr. Sutton’s current practice is dominated by the EU’s regulatory and institutional reforms, especially as regards financial services, economic and monetary governance and law enforcement. The position of the UK in the process of European integration (including its internal constitutional developments, such as potential independence for Scotland), as well as the external impact of developments in the EU (especially for the United States and other G20 partners) are also important aspects of his current work. In addition to his legal practice, Mr. Sutton has taught European law in Universities around the world. He is currently Visiting Professor of European Law at the Europa Institute in Edinburgh, at Kings College London and at the Jersey Law Institute. 2007 Chairman of CEPS Task Force on "The Tax Regime of the European Company Statute"
2004 Visiting Professorial Fellow at the Law School of Georgetown University, Washington, D.C.